LED Star Heat Sink ø160mmxh50mm/100mm/150mm; Design for Spotlight and Downlight 9400~16800lm; Rth0.4°C/w~0.6°C/w; Suitable for 80w/85w/90w/100w/110w/120w; Self-taping hole or custom mounting holes for Zhaga book 3 and book 11 LED modules; Standard finish-Black anodized. 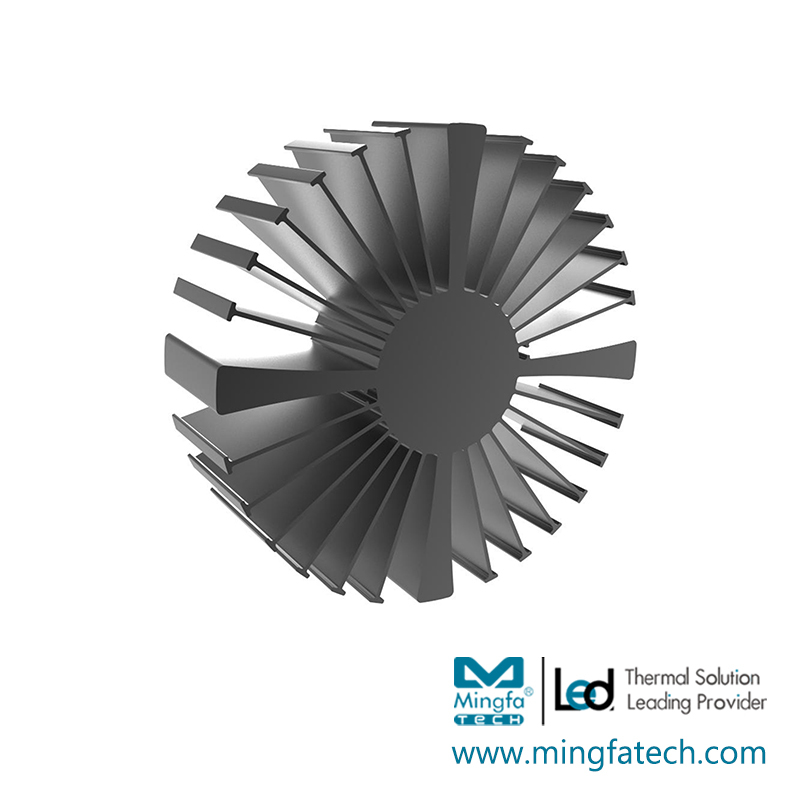 The cob led heat sink produced by MINGFA is widely used.MINGFA always provides customers with reasonable and efficient one-stop solutions based on the professional attitude.MINGFA's led heat sink are widely recognized in the market. They are all produced with selected quality materials. They have the features to be anti-corrosion, moisture-proof, anti-oxidation and heat-resistant. Compared with similar products, they are highly cost-effective and can be used for a long time. MINGFA pays great attention to integrity and business reputation. We strictly control the quality and production cost in the production. All these guarantee cob led heat sink to be quality-reliable and price-favorable.led heat sink produced by MINGFA are of safety, good design, easy installation, and wide applications. In the practical application, they effectively guarantee the stable operation of the power system as well as reduce the operating cost of the system. They are favored by many customers with high economic value.Compared with other products in the same industry, MINGFA's cob led heat sink has the following characteristics. The product is suitable for MeanwellHBG round power supply. Suitable for COB modules with luminescent surface of 15.0-50.0mm. High-end cooling products designed for Hibay. 1. MingfaTech Manufacturing Limited is one of Chinese leading manufacturers for . 2. When speaking of quality, is the best. 3. Mingfa Tech provides customers with the best and comprehensive services. Please contact us!